It’s time for a revolution in how we see ourselves and each other as parents. 4th Trimester Arizona was founded to support ALL parents, to be real about the challenges we face, talk about the stuff that never gets talked about, and connect our village to support each other. New for the 2019 Conference: On-site Childcare! You read that right! This year we will be hosting on-site childcare for your kiddos inside ArtVille! Spots are limited though and available only by registration. When you register, make sure to secure one spot for each child that will attend childcare. Of course babies are always welcome in the sessions, but will need to stay in your arms. If you don’t plan to keep your kiddos with your or send them to the childcare area, please make plans now for them to be cared for while you attend the conference. Did you know… the 4th Trimester Arizona is a 501c3 Nonprofit Organization? That means your tax deductible donations help us bring community to new families! Please consider donating today. Your support will help us reach more Arizona families than ever in 2019! For more information, email [email protected]. i.d.e.a. Museum is built upon the solid and successful 40 year history of the Arizona Museum for Youth, the original, fun, inspiring, and educational hands-on art museum for children and families in the United States. As a City of Mesa Museum with a Non Profit Support organization, i.d.e.a. Museum Foundation, Inc., their activities and exhibitions focus on three key pillars: supporting early learning, nurturing creative thinking and engaging families. The i.d.e.a. 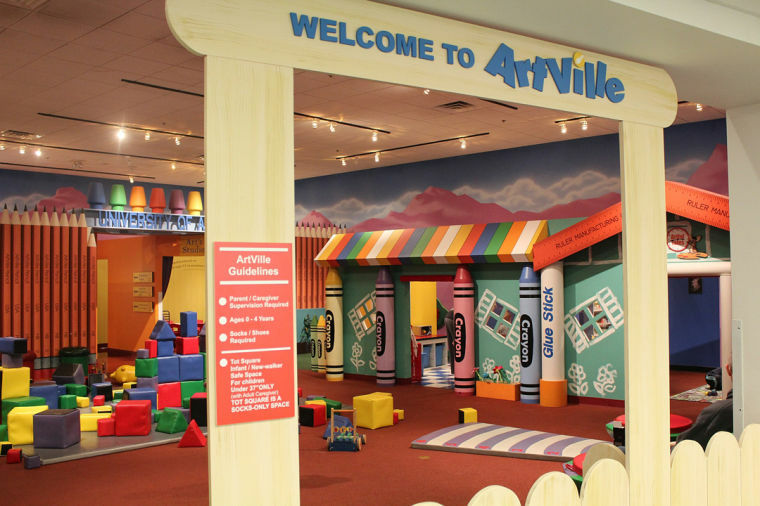 Museum hosts several changing exhibition each year and features ArtVille, an art-town for kids ages 0 – 4. As part of the exhibits, art classes, workshops and family programs are available to teach art principles and techniques. The current exhibition is Junkyard Jungle which allows visitors to escape into their imagination through artwork and activities that focus upon the Earth’s lush rainforests and other wild destinations. Featured artist and activities encourage green living for a sustainable future, including an immersive blacklight room..
Their mission is to inspire children of all ages to experience their world differently through art, creativity and imagination.